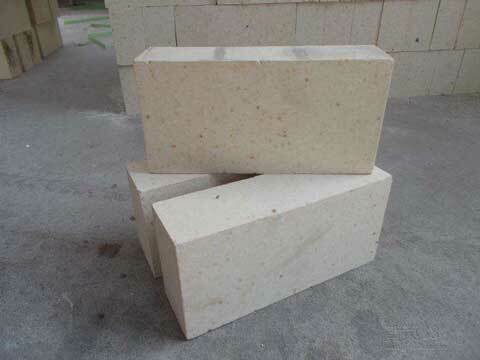 Alumina bricks are aluminate silicate refractory materials contain more than 48% alumina oxide. They belong to neutral refractory materials. The bricks are made from bauxite or other kind of high alumina raw materials by molding and firing. They have a high thermal stability, and can withstand high temperature of more than 1770℃. 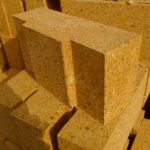 The bricks are mainly used as linings to build electric iron furnace, glass kiln or cement rotary kiln. 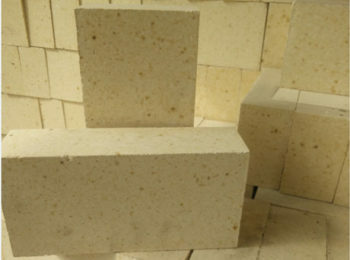 Alumina bricks are advanced refractory materials with a refractoriness up to 1750-1790℃, which is higher than both fireclay bricks and semi-silica bricks. 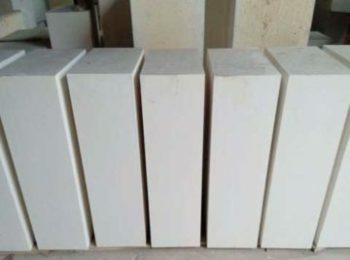 The refractory under load capacity is higher than fireclay bricks, because the product contains less vitreum which is easily to melt. But the molecular structure of mullite is not as stable as silica, so its RUL capacity is weaker than silica bricks. As a neutral product, alumina bricks can bear both acid and alkali slags and gases. But, since the material contains sio2 which tends to be acidic, resulted in the brick less functional to bear alkali matters than acidic ones. 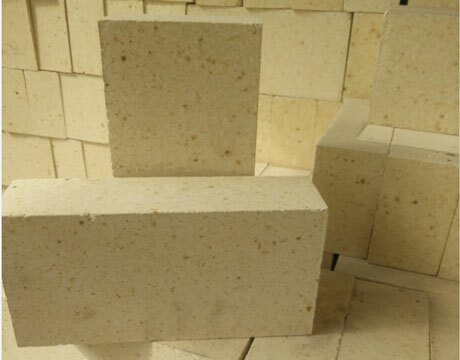 Main categories of alumina bricks including ordinary alumina bricks, high RUL alumina bricks, low creep alumina bricks, phosphate bonded alumina bricks, micro-expansion alumina bricks, etc. Main composition of this kind of brick are corundum and glass phase. Alumina oxide increases in direct radio with mullite and corundum while grass phase deduces and therefore refractoriness and high temperature behavior of the product increase. 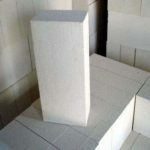 Ordinary alumina brick has better refractoriness than fireclay bricks, it is a fine and commonly applied material for all kinds of refractory kilns. 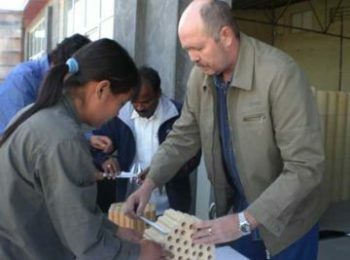 It can promote service life of kilns. High RUL alumina bricks have different bulk material and bonder compared to ordinary alumina bricks. Mineral concentrates of Silimanite, kyanite and andalusite are added into the matrix. 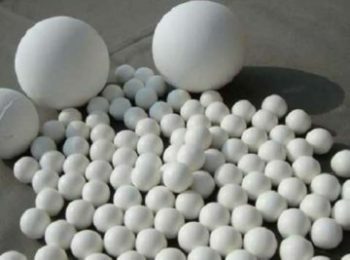 Also, high alumina materials such as corundum powder, high alumina corundum powder are added into it on the basis of its close chemical components to mullite bricks. 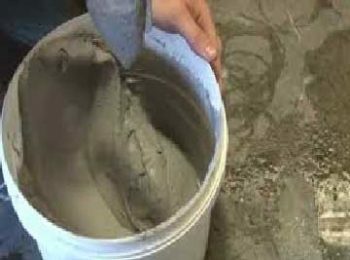 The bonders are quality fireclay bonders or mullite bonders depend on different products. 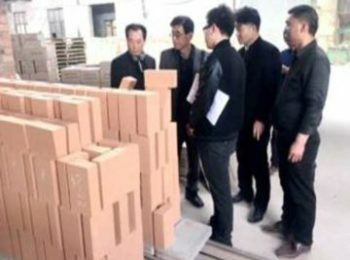 Though these methods, the RUL capacity of alumina brick can rise up to 50-70℃. 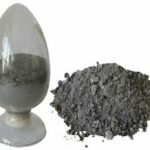 Increase RUL ability by using what is known as balanced reaction, that is, add into bulk materials mineral concentrates of Silimanite, kyanite, andalusite and activated alumina oxide according to the using temperature. 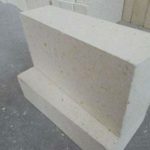 This method is to make component of bulk material close to that of mullite. 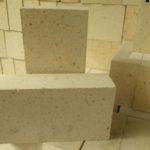 The excellent Mechanical and thermal properties of mullite make a better refractory ability. 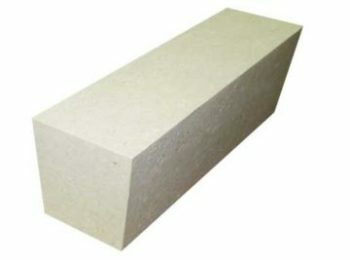 Low creep alumina brick is widely applied in hot air stove, blasé stove and other refractory stoves. 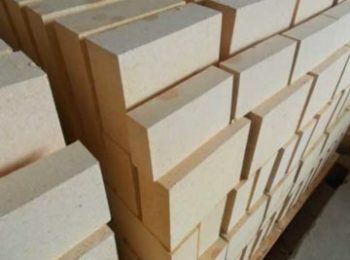 Phosphate bonded alumina brick is the main raw material of dense grade or high grade bauxite clinker, Phosphate solution or aluminum phosphate solution as binder. 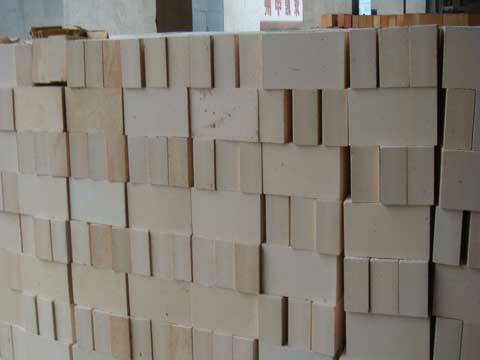 After molded by semidry method the raw material is heated up to 400-600℃ to become the phosphate bonded alumina brick. In order to avoid serious shrink, heating expansibility materials such as kyanite and silimanite are normally added into the product. 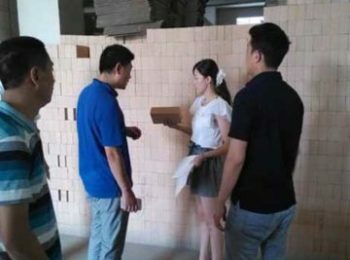 Compared with Ceramic combined alumina brick, this kind of brick has a better anti stripping performance, but its RUL capacity and corrosion resistance level is relatively lower. 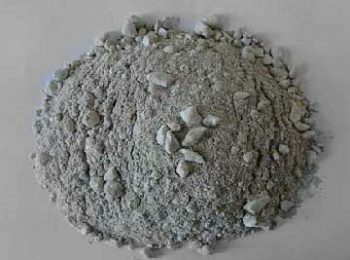 So normally we add a little amount of fused corundum or mullite into it to enhance the performance of bulk material. Phosphate bonded alumina bricks are usually applied in cement rotary kiln, roof of electric furnace. 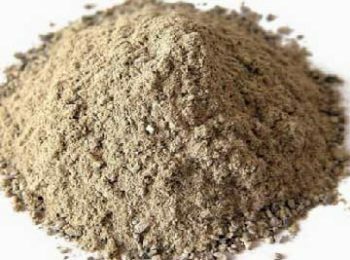 This kind product are made from high alumina bauxite with mineral concentrates of Silimanite, kyanite and andalusite. To make the brick expand properly when using, the point is to choose the right mineral concentrates and its particle size. Make control of the firing temperature in the process of heating up to mullitization the chosen parts of the mineral concentrates. Since the mineral concentrates of Silimanite, kyanite, andalusite have different dissolving temperature, so their expansion condition is different too. So the alumina brick can expand at different temperatures due to this feature. In this way, the Slag penetration resistance and Overall compactness of lining are enhanced. 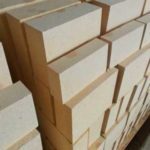 Alumina bricks are mainly applied in building blast furnace, hot air stove, roof of electric furnace, Blast furnace, reverberatory furnace, and rotary kiln lining. 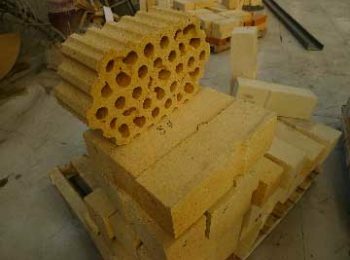 Besides, alumina bricks are used as regenerative checker brick of Open hearth furnace, stopper for gating system, and nozzle brick. Raw materials and technique: selected quality bauxite, mix with clay and other materials. 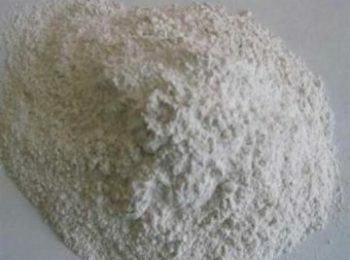 Property: high refractoriness, can bear both acidic and alkali slags, good thermal performance, good thermal stability. 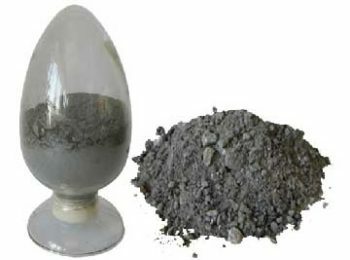 Raw materials and technique: quality bauxite as raw material, major mineral components are mullite and corundum. Molded under high pressure and temperature. High alumina bricks are divided into four grades according to the aluminum content. 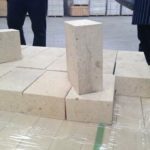 Alumina bricks for sale at Zhengzhou Rongsheng kiln refractory Co., Ltd. has high quality at a low price. Locating in the central part of china, Rongsheng takes the advantage of transportation and abundant mineral resources, have access to high quality raw material at a low price. 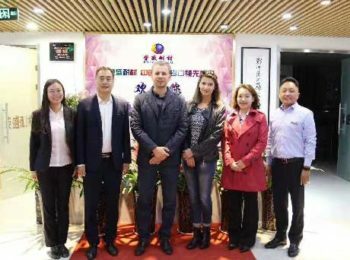 And excellent technological personnel from the center of china have given us the possibility to produce various kinds of refractory product to meet various needs. 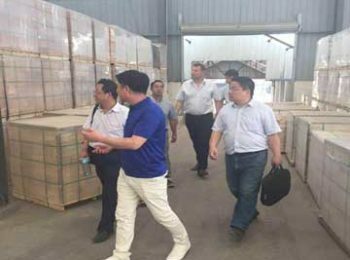 Welcome to buy alumina bricks at Rongsheng, we are looking forward for business partners and buyers, please leave your message below and we will be in contact with you!